What do you get a three year old boy for his birthday? Obviously the biggest thing you had always desired as a little boy. That's right, super powers....no wait, Power Wheels!! Who didn't want a Power Wheel when they were young? I still wanted one until about a week ago! 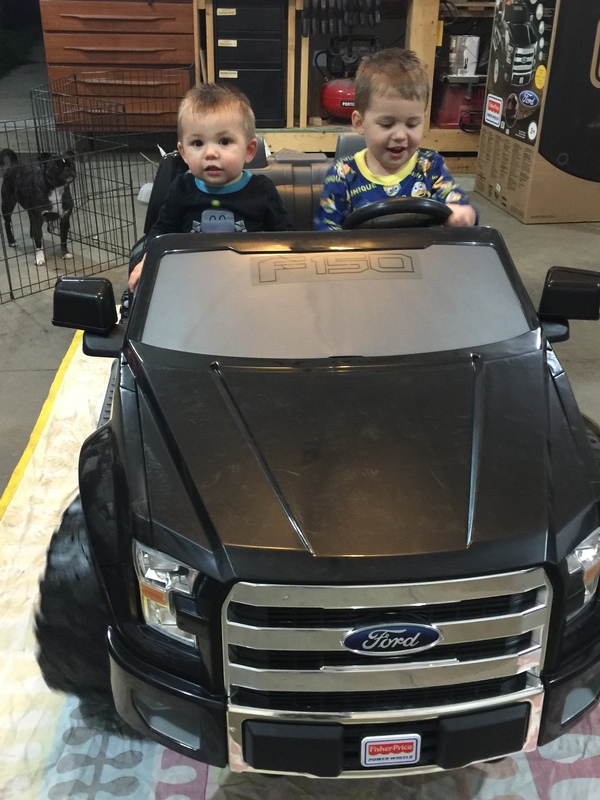 So here it is, Parker's Ford F150. We cruise the neighborhood pretty much on a daily basis now.